I believe we are entering into a new era of golf. I'm calling it NASCAR Golf. My definition on this type of golf is "all out, pedal to the metal, attack mode golf". 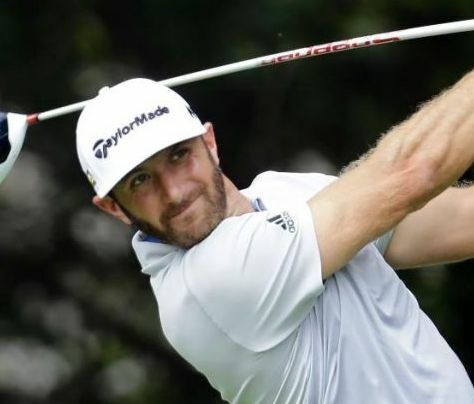 Last week Dustin Johnson brought a very tough and long Crooked Stick golf course to its' knees with a relentless attack featuring overpowering drives, pinpoint iron play, and deft putting. Ben Hogan, Jack Nicklaus, and even Tiger Woods would maneuver their way around the golf course playing to their strengths and or the weakness of the hole. It was an intellectual challenge for them to outsmart the architect and golf course. They and others had the length to challenge and attack a course like Dustin Johnson, Rory McIlroy, and Jason Day, but they chose their spots for their aggressiveness. In other words, they played smart. Jack Nicklaus won a British Open at Muirfield by hitting his one-iron almost exclusively off the tee the entire week. Tiger Woods and others have done the same. This is not to say that the style of play that Johnson, McIlroy, and Day have exhibited is not smart. It is a different approach. When they are "on", they continue to play to their strength and letting it all "hangout". We witnessed the first NASCAR golf in 1991 when John Daly also overpowered the same Crooked Stick to win the PGA Championship. I remember the announcers questioning his shot selection and going with a driver on the narrowest of holes. They really questioned his decision on the 18th hole, a very difficult driving hole with water on the right, with his choice of driver. He piped the longest drive of the day and ended winning by 3 shots. Dustin Johnson came to the same hole with the same lead and Johnny Miller questioned his choice of driver. Why not, he had only hit it near perfectly all day, and he responded with another 330 yard drive to the center of the fairway. I admit that I like the approach of Ben Hogan and Jack Nicklaus. I liked the way they crafted shots and worked their shots towards the hole. The skill displayed was impressive and relatable. NASCAR golf is a bit like knocking down bowling pins with a bazooka. What I do like about the Dustin, Rory, and Jason's approach is that you are getting 100% of their effort. They are laying it all out there and we are seeing the best that they have to offer. Many years ago, I was a head pro in Indianapolis and lived a short distance from Crooked Stick. I probably played this championship course over 20 times. It is worthy challenge for any major championship. Crooked Stick is also Pete Dye's pride and joy and he continually finesses and makes changes yearly to update the course to modern standards. It is truly a masterpiece that Ben Hogan would have loved to have challenged and outsmarted. From my knowledge of the course, shooting the score that Dustin Johnson posted was truly outstanding. Three players set themselves apart from the field. Johnson was 23 under, Paul Casey shot 20 under, and Roberto Castro at 17 under. Dustin finished eleven shots ahead of the fourth place finishers. That is like lapping the field in a NASCAR race. They weren't even in Johnson's rearview mirror. Dustin sprinted and most of the field were still walking. Will NASCAR golf be the norm? Yes and No, but it will be more prevalent. When a strong player is “on” his game, these types of players will not back off and will keep the “pedal to the metal” and capitalize on their advantage. Relatively short drivers like Zach Johnson, Jim Furyk, Bill Haas, Luke Donald, Steve Sticker, and even Jordan Spieth will have a tough time competing when they are being out-driven by over 30 yards per hole. The shorter hitters will win their fair share of tournaments, but we might be witnessing a new era of professional golf.